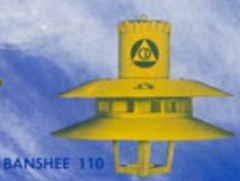 The Banshee is a pair of models of siren manufactured by Alerting Communicators of America, with the Banshee 115 being continued by American Signal Corporation. The Banshee 110 is an older form of Banshee. The very first ACA Banshee sirens produced were 10/12 port, because they shared the same rotor and stator with the first Allertor sirens which were also 10/12 port. Only one of these sirens has been found in Mason City, Iowa but it was removed in 2006. The later ACA banshees were available in 9/12 port dual tone and 8 port single tone. 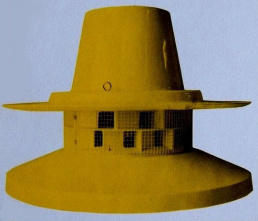 One single tone unit exists in Lomira, Wisconsin. The Banshee 110 was also available with an optional coding damper. The Banshee 115 was a siren that was produced until 1994. This is an improved version of the Banshee 110, with a 15 HP motor. Although many design aspects have changed, the Banshee 115 carried the same port ratios of the Banshee 110. (8, and 9/12 Port) When Alerting Communicators of America went bankrupt, becoming American Signal Corporation, the Banshee 115 was renamed the OM-117. Unlike the Banshee 115, the OM-117 only came in an 8 Port ratio single tone siren. The "Super Banshee" was a double layered version of the Banshee 110. It was an 8/12 port siren in a similar format to a Federal Signal 2/3T22, with discs instead of horns. It had a 25 HP motor. 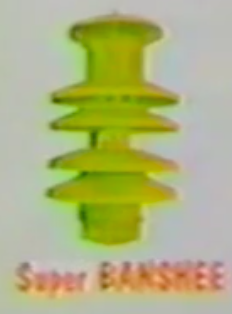 It has been rumored that this design was stolen by Soundmaster Signals Inc., And that Soundmaster was sued over this, however, it was actually ACA who had taken Soundmaster's design for the Super Banshee. This page was last edited on 5 March 2018, at 02:35.